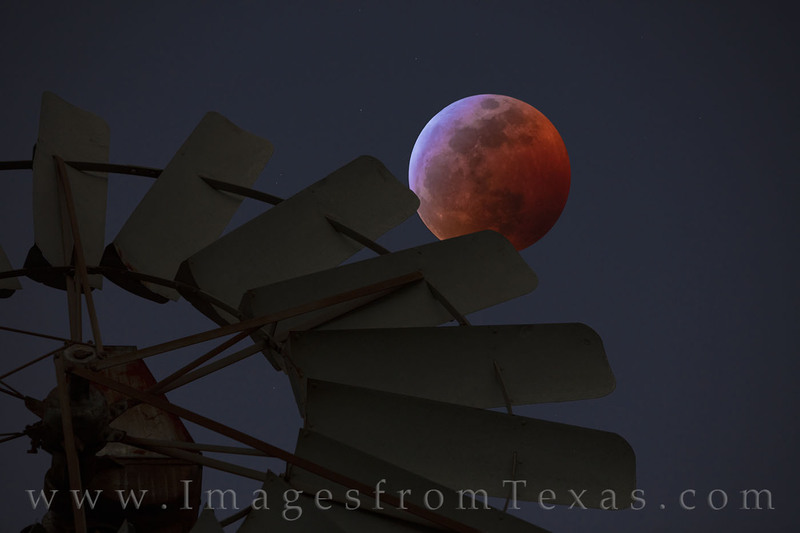 On a cold January night, the rare Super Blood Wolf Moon hangs in the dark sky over the Texas Hill Country. At its closest point to earth, the Super Moon is only about 223,000 miles away. Combined with a total lunar eclipse, the celestial event is a sight to see. During the eclipse, the earth’s gravity causes the sun’s light to bend and reflect an eerie reddish-orange huge across the surface of the moon. The reddish glow doesn’t last long – only a few hours – but its worth missing a little sleep witness this unique event. The next total lunar eclipse occurs across the Americas on May 26, 2021, then again on May 16, 2022. Photo © copyright by Rob Greebon.